Once upon a time, your little girl who would fall asleep each night wondering if she would wake up as a princess. She drank tea with other stuffed, fluffy princesses. She wore her mother’s jewelry and pretended to attend a ball. She would go outside, talk to the animals in the forest, and saw them as townspeople. Now, you can make your little girl’s dream come true! 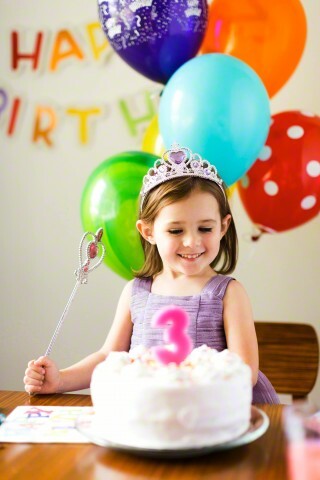 We have put up a list of princess party ideas you and your birthday child will surely love. It’s easy, frugal, and will add a festive mood to your party. Little girls enjoy sitting with her dolls and having tea with them. Just imagine how much fun your birthday child would have if she were having tea with her friends. Have all the kids dress up in their best Sunday dress. Wearing tea hats is a great idea too! Take a photo of each child upon arrival. Make or purchase cupcakes in pastel colors. Place them on a tiered stand. Small, almost bite-sized BLT sandwiches and cookies taste good. Serve tea, hot choco, or even cold pink lemonade and pour it into cute teacups. Remember the picture you took of the children? Print it while the party is still ongoing. Stick the picture to a balloon and give it to the kids along with your party favor. Princesses are royal blood. Celebrate her birthday and have a party full of glitz and glam! Use beaded curtains. If you have a lot of old CDs lying around, hot glue them to strings and hang them up as a curtain. Send out invitations and include an attire for the party. Put up illuminated canopies. You can use colorful cloths and Christmas lights to set this up. Set up a long table with a festive table runner. Lay some toy jewelry and gems on the table. Serve cake pops with edible glitter. You can also serve up cake and cupcakes with edible pearls. Fill up glass containers with colorful candies. Princesses need to go out of the castle, too! Take her outside and let her celebrate with nature. Hold the party outdoor, preferably in a garden. Decorate the place with hanging plants. Purchase bird cages and fill them up with flowers. Distribute flower crowns and have the girls wear it to the party. Use brown craft paper as a tablecloth or table runner. Sprinkle the table with leaves and petals. Why don’t you hire a princess to make your birthday child’s party more memorable? Have a fairytale celebration with our wonderfully talented princesses! Talk to us today and let’s start planning!